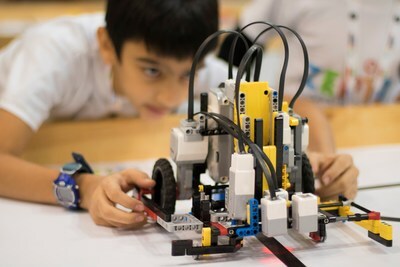 SINGAPORE, April 12, 2019 — (PRNewswire) — World Robot Olympiad is a challenging and fun way to interest young people in robotics. Now, a new season of global competitions is being announced with the support of premium sponsors LEGO® Education and Juniper Networks, an industry leader in scalable and secure networking technology. World Robot Olympiad Association (WRO) is a nonprofit organization. Its mission is to inspire young people around the world with a range of robotics competitions and, through that, to take an interest in the STEM subjects. WRO robotics competitions are popular worldwide and each year the WRO International Final brings together young people from around the world to present their solutions to the season's challenges. Additional information can be found at our website ( www.wro-association.org). Follow WRO on Facebook and Twitter @WROOfficial.